And I believe them! I have endlessly agonized, played the angry, hurt, disappointed broken tape in my head a million times over, wondering what I did to deserve a certain treatment, while the offenders went on, blissfully living their lives. Totally unaffected by the hurt they caused me. Continuing to hurt me with their callous attitude towards my feelings. 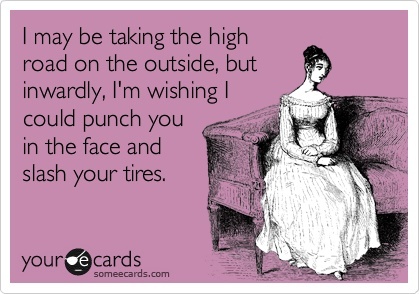 Clearly, my anger and frustration is not affecting them in the least and I am just hurting myself by not letting it go. Why then, do I find it SO DIFFICULT to forgive and move on? Does forgiving strip me of the right to avenge myself against those who have wronged me? Does letting go of the fire and fight for justice mean I deserved the treatment I received? Doesn’t it mean I am giving away the right to stand up for myself? And what about the future. If a person can’t acknowledge the pain they have caused, are they not destined to harm again? Is it not our duty to protect the future from people who are unaware of the destruction they cause? Or worse, are aware and do it anyway? What about justice? How can you forgive someone who has not even admitted to doing something that might require forgiveness? Why should forgiveness be given to someone who has not even asked for it? Will this undeserved gift not just float, unclaimed, around the universe? Isn’t forgiveness the same as accepting defeat? 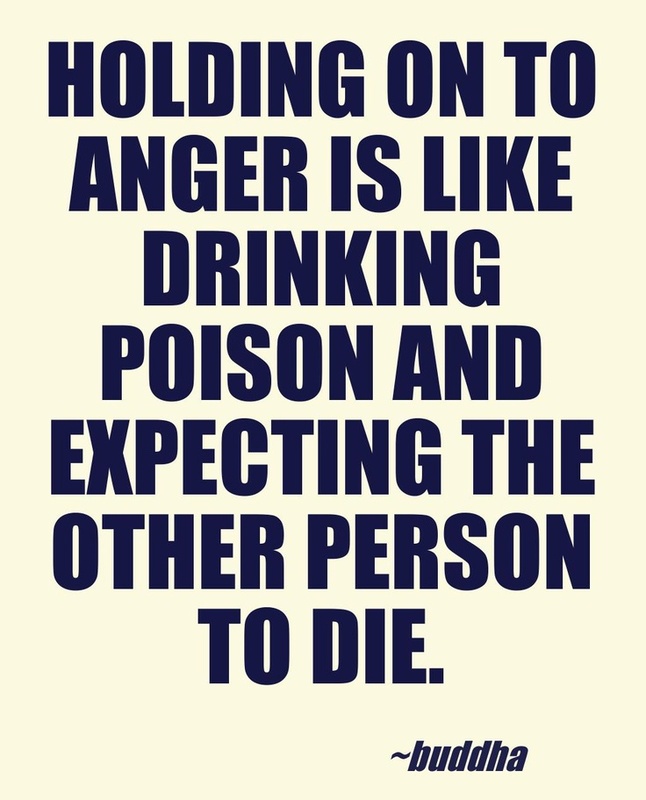 Is anger a war you can’t win? So you just walk away? 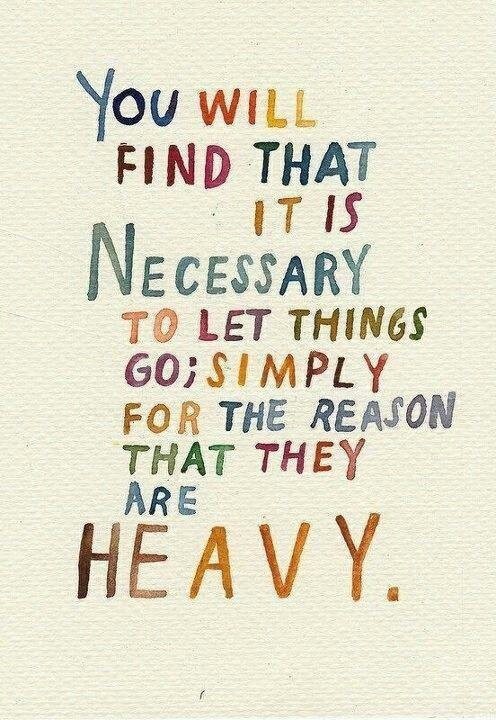 You let things go because they are heavy? You give up because something is hard? You quit?!? I don’t have the answer to this one. I want to be able to forgive, but I simply don’t know how. If anybody is out there, I would love to hear how you handle unrequested forgiveness and why it feels so much like a gift I can’t afford to give. UPDATE: Click here to see how I feel about this a year later. This entry was posted in Uncategorized and tagged Anger, Forgiveness, let go, letting go, Mental Health, peace of mind. Bookmark the permalink. Have you worked this out yet? Well, when you achieve the self-love thing (or perhaps you already have) you may share my sentiment (which, now that I think of it, I believe you have shared on this topic, on occasion) that everything – good and bad – has occurred to shape you into the awesome person you are today. You are stronger, you are wiser, you are a greater help to others. And that couldn’t have happened without those who God/the universe put in your path as the sand paper that has shaped you. And who are we to be angry at God/the universe for the tools sent to shape us? And who are we to be angry at the tools that others lacked to shape them into better, less hurtful people? If I know that there are others who I can now proudly and happily help with divorce, or abuse, I can’t at the same time hold my abuser responsible for my pain or my recovery. If I do, what help will I be to other victims? What positivity can I honestly share if I’m busy grasping on to negative and angry feelings? If you’ve been abused, God has allowed it for a reason. And some of that reason is for you to understand and help other victims. And the rest of that reason is for you to understand and discourage abusers from abusing others in the future. But NONE of that reason is because God wants to punish your heart for the rest of your life by filling you with resentment. It’s an afront to the universe that is working to make you a beautiful blessing to others. You simply can’t carry angry baggage and God’s blessings at the same time. So getting to drop those burden bags and pick up blessing boxes becomes a joy!